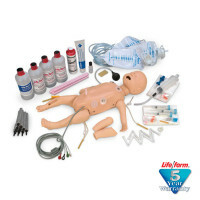 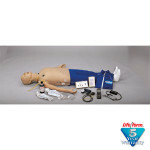 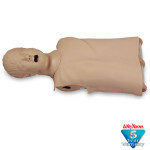 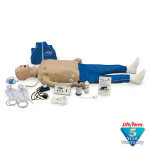 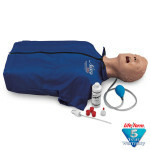 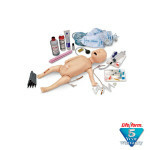 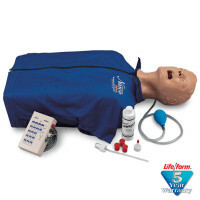 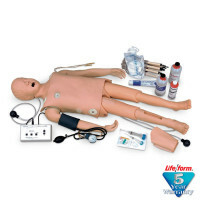 The CPR/Airway Management Torso is ideal for practicing intubation, ventillation, suctioning techniques, and CPR. This torso is designed to be the foundation of the Child CRiSis system as arms, legs, and a defibrillation chest skin can be added later to provide IV access, intraosseous infusions, blood pressure monitoring, and ECG recognition and defibrillation training. 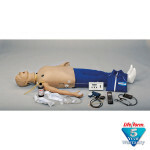 Comes with pump lubricant.